The members of Magherafelt and District Motor Club are deeply saddened at the tragic death of their fellow club member and friend Ryan Bradley. Ryan was a much loved and respected member of the club and he will be sadly missed by us all. We would like to extend our deepest sympathy to Ryan’s Girlfriend Gemma and to the entire Bradley family and friends. Rest In Peace Ryan, rallying will be a sadder place without you. The funeral will take place at 11 am Wednesday 22nd to St Mary’s Chapel, Drumagarner, Kilrea. 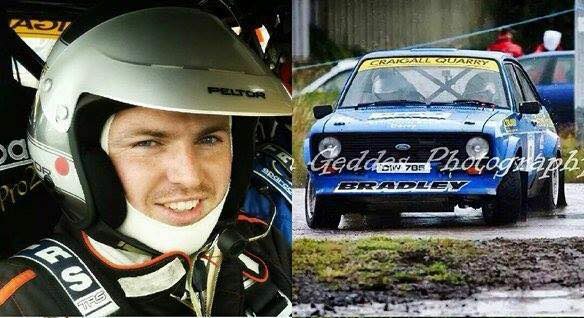 Magherafelt & District Motor Club have opened a book of condolence for Ryan Bradley. People can sign the book online below or in person at Walsh’s Hotel Maghera. The Book of Condolence will be available for signing at all times in Walsh’s and Club representatives will be in attendance between 7pm and 9pm Monday 20th and Tuesday 21st October. If members would like to add messages of condolence below we will add these to the book of condolence. Please note comments will not appear instantly as they will be moderated by the MADMC website team to prevent spam.